Exterior, interior and corners made of Premium Castilian III Vinyl. 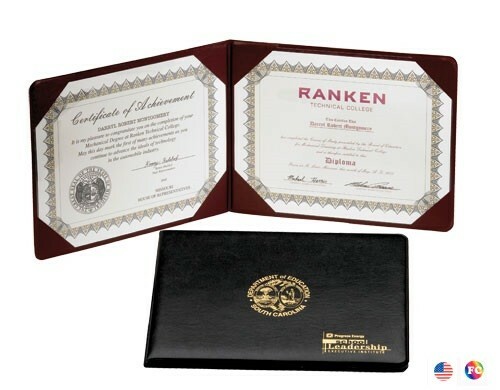 Holds two 8 1/2" x 11" diplomas and includes two clear acetate sheets. Options: Can be produced to hold one 8 1/2" x 11" diploma.